Another kind of take-away. Noodles. I wanted some cheap thing, here it goes: 35TWD. 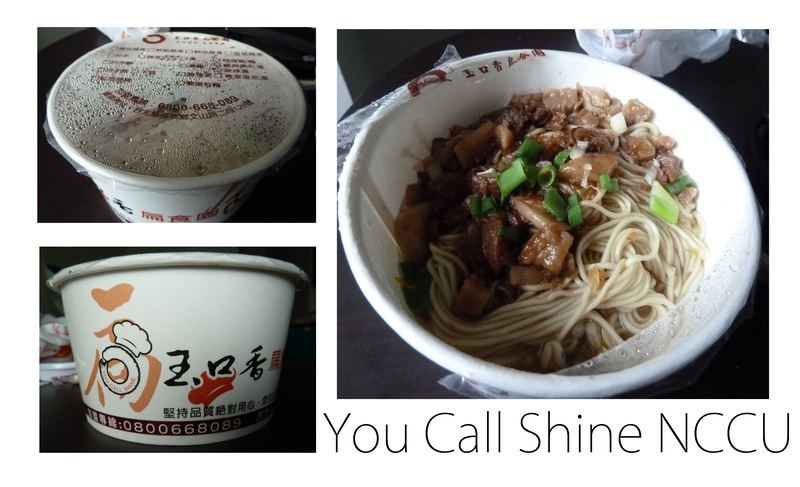 They’re called Typical Taiwanese noodles. I know that fat is usually the thing that gives taste, but i think that even though the shop might have heard that their noodles didn’t taste like anything, only putting fat instead of meat isn’t that nice. Well, for 35TWD i shouldn’t expect much, but still that’s a little bit a bother. This was ok once, but next time i’ll try the dumplings in another shop.